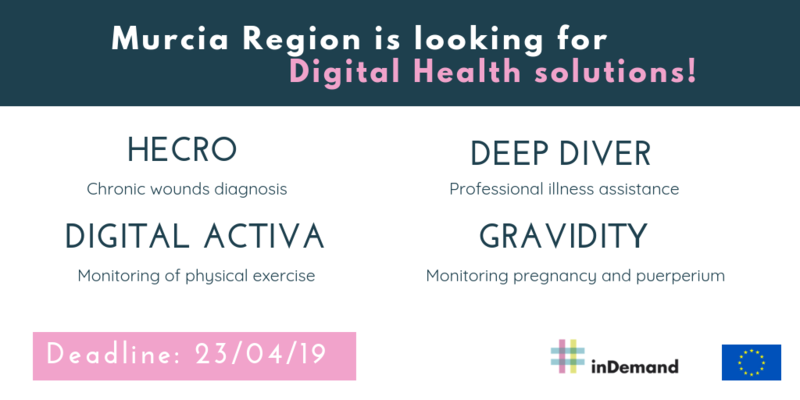 inDemand is a new model where Healthcare organizations and companies co-create Digital Health solutions, with the financial support of regional public funds. Why is this model innovative? inDemand applies at the same time demand-driven and co-creation approaches. This EU project is currently being implemented in three pilot regions: Oulu (Finland), Murcia (Spain), and Paris (France). 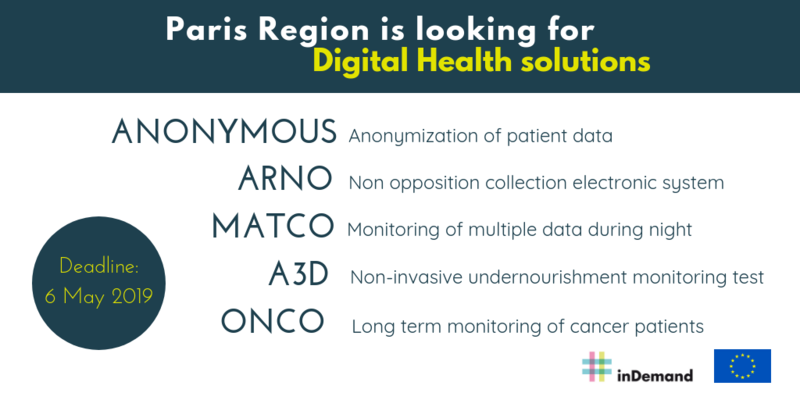 Each of these three regions has launched its second call for companies interested in solving concrete needs that have been previously identified by Healthcare providers. 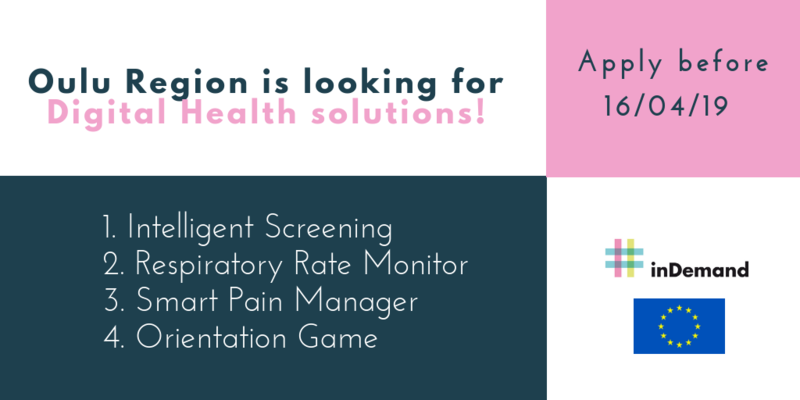 Co-develop and validate the solution within Healthcare organizations. Benefit from business support to improve commercial and financial traction. *The co-creation must be done in the native language of the Healthcare provider. “inDemand solves challenges identified by the customer -the Healthcare organizations-. That’s why we talk about a demand-driven model. This approach is going to increase the capacity of health entities to systematically identify and solve their needs while creating opportunities for private companies”, explains Jorge González.